Available Height: 15" to 21"
The Moen Premium Shower Chair is ideal for use in any shower or even shower/tub combination. 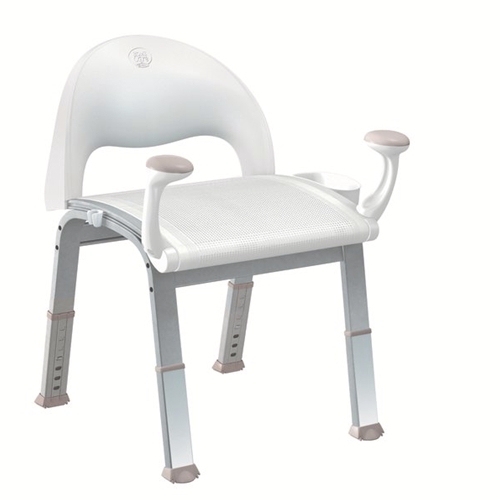 With its anti-slip rubber feet and its easy grip support handles, this Moen Shower Chair provides extra safety for those who cannot stand while taking a shower. The conveniently attached shower caddy and hand-held shower holder allows users to bath comfortably from the seat without having to reach far.